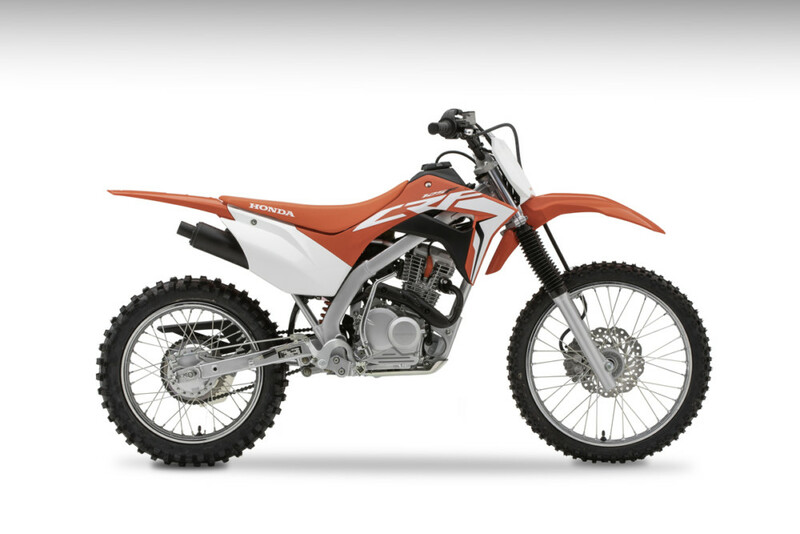 2019 Honda CRF Trail Family First Look—Honda announced today a major redesign of their popular CRF Trail family of off-road motorcycles for the 2019 model year. The new CRF “F” lineup features new engines, new frames, new suspension travel numbers and more. But the biggest update is the addition of fuel injection to the CRF250F, CRF125F, CRF125F Big Wheel, and CRF110F. 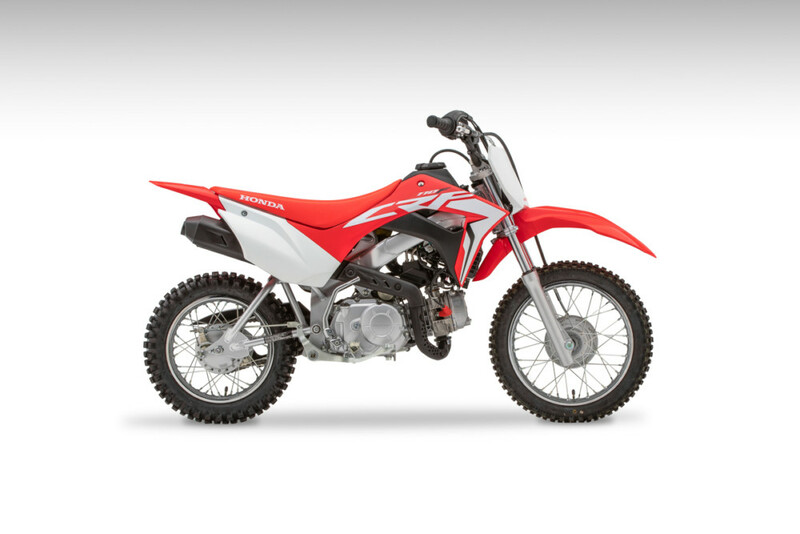 The CRF250F will be most intriguing to adult riders. 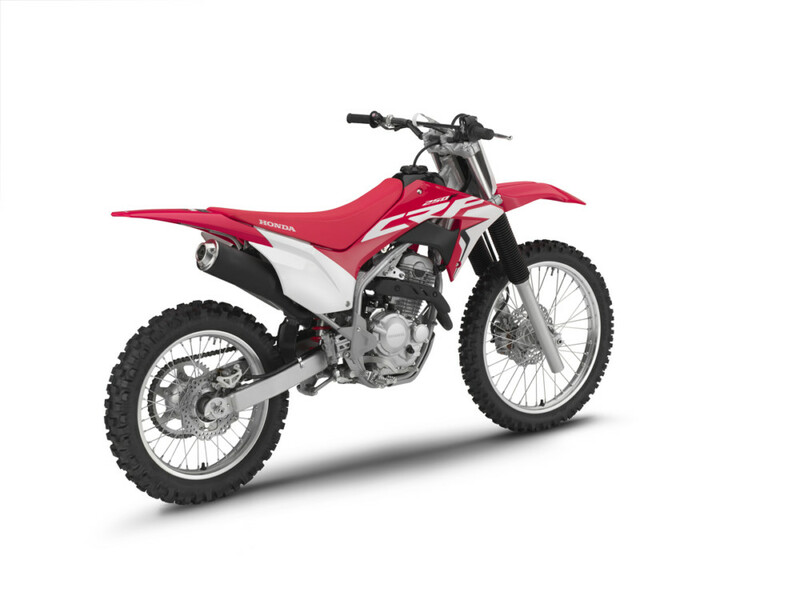 On paper, it looks to be a significant upgrade over the outgoing CRF230F with increased displacement, an updated twin-spar chassis and the EFI. Sure, it will gain a few pounds thanks to the steel fuel tank and fuel injection-required equipment (all the bikes will see a slight weight gain), but that’s been a more than acceptable trade-off for fuel-injection’s benefits on other bikes. Across the board, it seems the CRF Trail Family has received upgrades that make it even more attractive to a family of off-road enthusiasts. They seem to be winning here with electric starting, fuel injection, modern styling, and a dependable legacy. 1.6 gallon steel fuel tank, internal fuel pump, a reserve level sensor, bar-mounted “low fuel” indicator light e.
The 2019 CRF125F Big Wheel comes with 19/16-inch wheels front/rear. Where the small wheel version has 17/14 front/rear. SOHC 124cc engine and four-speed transmission. Seat height is only .2mm higher than previous version at a low 29.1 inches, despite thicker seat foam and 10mm and 12mm more front and rear suspension travel, respectively. 1.0 gallon steel fuel tank houses a fuel pump and a sensor that indicates low fuel via a handlebar-mounted light. Honda’s 2019 CRF110F also receives the fuel-injection and twin-spar frame treatment. Ratchet-style fuel cap minimizes the chance of loosening during a ride.